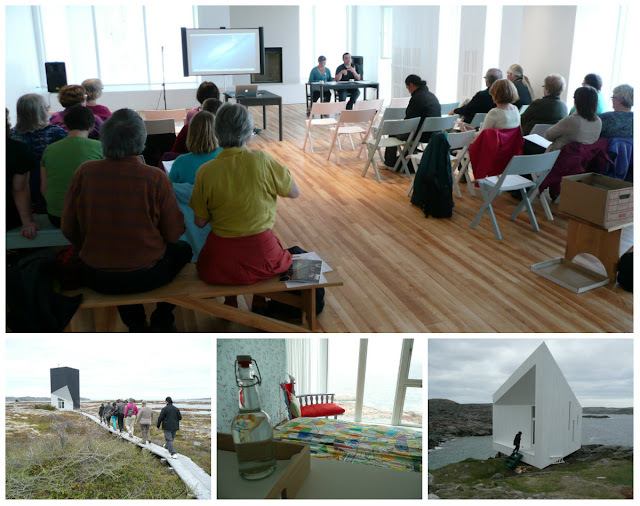 Susan Lee Studios: Craft Council of Newfoundland & Labrador: Shaping my story. 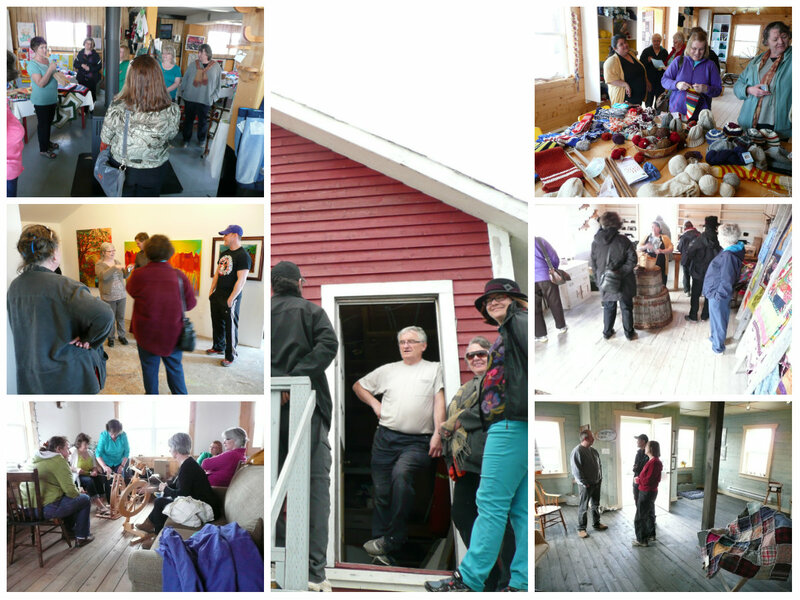 Craft Council of Newfoundland & Labrador: Shaping my story. This past weekend, on Fogo and Change Islands, the AGM for the Craft Council of Newfoundland & Labrador was held. Outgoing chair, Jason Holley, spoke eloquently about how the trajectory of his career in craft (and art) has been shaped by his involvement with our local Craft Council. It spurred me to consider how my current life's work has also been influenced by the services of the Craft Council. When I moved to Newfoundland, the only craft of my own creation that I had sold was a few pieces of pottery at a Yellowknife Guild of Crafts sale. I remember being shocked that people had bought them. Upon arriving in St. John's, I registered for a clay class at the Craft Council Clay Studio with Isabella St. John of Blue Moon Pottery. Even without having ever sold anything, I know I would always feel compelled to keep making craft. But I never forgot that feeling of amazement that someone would pay for something I'd made. Taking the 2 year Textile Studies program at the Anna Templeton Centre, while I was wait-listed to get into the welding program, I learned new craft skills. That's also when I learned about the process of submitting work to the Craft Council Gallery when they had open calls-for-entry. Wow! That was really the beginning of my craft career! I love the challenge of making work to suit a theme. I love seeing how other artists and craftspeople have interpreted the same theme once the exhibit opens. And again, it's always rewarding when in buying something I've made, a customer lets me know that I've touched a nerve with them, in a good way. The pieces I submitted to the Gallery were in a variety of media. It's only since I've returned from my training at Haliburton School of The Arts that I've narrowed my focus to metal, primarily jewellery. But in the years before that I made primarily textile pieces, both sculptural and functional, I also went through a "lamp phase" incorporating clay and fabric and metal, and I also made jewellery in silver for some shows. In showing work in the Gallery I learned what ideas appealed to an audience beyond myself, and what ideas didn't (I have a small collection of "eclectic" lamps to remind me of this!). But my craft practice wasn't my "real" job - I was a welder! But as the years slipped by and my obsession with taking workshops led me time and again to further my jewellery skills, I developed more focus in my designs. The Shop at the Craft Council approached me about selling my work there on a regular basis. That was another eye-opening moment - that my creations were seen as having legitimate value in a retail setting where the customer isn't necessarily coming in for an "artistic experience" as they would be in a gallery. As I made and sold more jewellery, and found that industrial welding wasn't very fulfilling creatively, I was motivated to make the shift to full-time craft practice. And I'm still loving it. It's an ongoing learning process, and luckily there are Craft Council members here who are generous with their knowledge and personal experience to help me when I'm stuck. It's a reassuring touchstone, knowing the Craft Council exists to serve craftspeople like me. I think it's also a phenomenon particularly relevant in Newfoundland & Labrador where craft has always been highly valued. Other provinces value craft in varying degrees too of course, and knowing that there's a network of craft councils across the country is a good feeling. 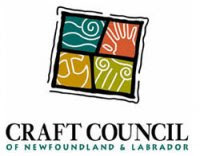 The skills of craftspeople should be valued and our provincial and territorial craft councils exist to promote the integrity of the handmade object as well as preserve and develop the skills of the craftsperson. 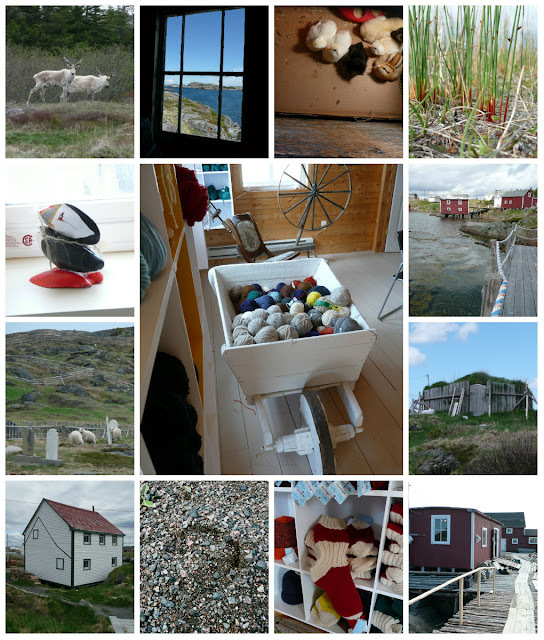 Clockwise from top left: Caribou on Fogo Island, a view from Seal Harbour Gallery, Studio companions of Clem Dwyer - woodturner, Sea grasses in Sandy Cove, View from Stages & Stores Economusee, Root cellar in Seal Harbour, Stage that is Seal Harbour Gallery, "Stay-in-your-boot" socks at Stages & Stores Economusee, Caribou footprint, Restored heritage home - now museum - in Tilting, Sheep in the cemetery in Tilting, The only seashell sculpture I've ever spent money on - by Winston Osmond of Herring Cove Art . Center: Display at Stages & Stores Economusee.